Centralinc systems are proud to announce the release of a new range of products allowing the implementation of an industrialised fibre optic redundant ring. 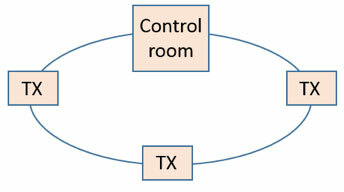 The mixture of fibre optics and managed switches allows a redundant ring to be implemented. 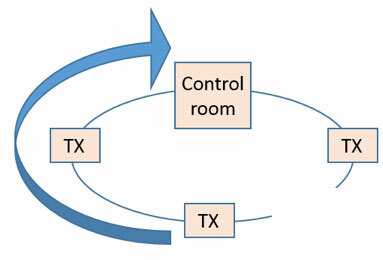 If one section of the ring breaks, the system will automatically revert the communications to the other available path, to maintain network infrastructure. On more complex and bigger applications a high level of ring resilience can be built in to ensure maximum network stability. The fibre optic solution is a plug and play pre-terminated fibre optic solution. As part of the solution Centralinc Systems offer a site survey option, where the network configuration will be designed, and all necessary parts including fibre optic cabling and managed switches can be specified. Centralinc Systems will also preconfigure all the managed switches as required, prior to shipping, allowing for plug and play installation on site, with no configuration required. As part of a service with a recent customer, several parts were designed specifically for the customer to suit their individual needs.